This project consisted of removal of (2) existing 732 ton, 480V constant-speed electric centrifugal chillers, and replace with two (2) new 1,200 ton, 480V variable-speed electric centrifugal chillers. Installation of two (2) new 750 KVA, 4160/480V oil-filled transformers to power the new centrifugal chillers. Installation of two (2) new 75 HP motors and 75 HP variable frequency drives (VFDs) on two existing-to-remain constant-speed chilled water pumps. Removal two (2) existing 3,000 gpm, 125 HP VFD vertical turbine condenser water pumps currently installed in cooling tower sumps, and replace with two (2) new 4,950 gpm, 200 HP VFD vertical turbine condenser water pumps. Replacement of two (2) existing 480V, 200 HP VFDs serving the two existing 200 HP cooling tower fans. 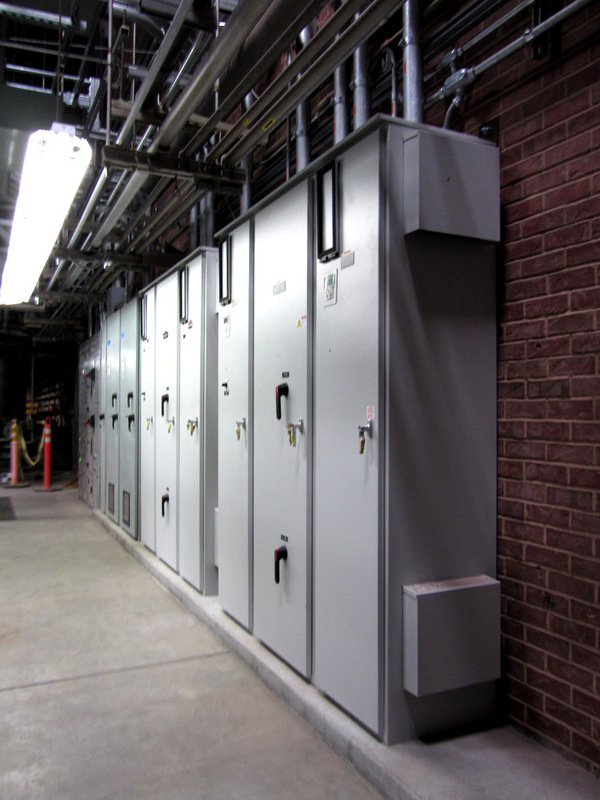 BCI’s scope of work included supply and installation of the 120V, 480V, and 4160V electrical systems, as well as the installation of the new industrial-grade PLC-type facility control system. 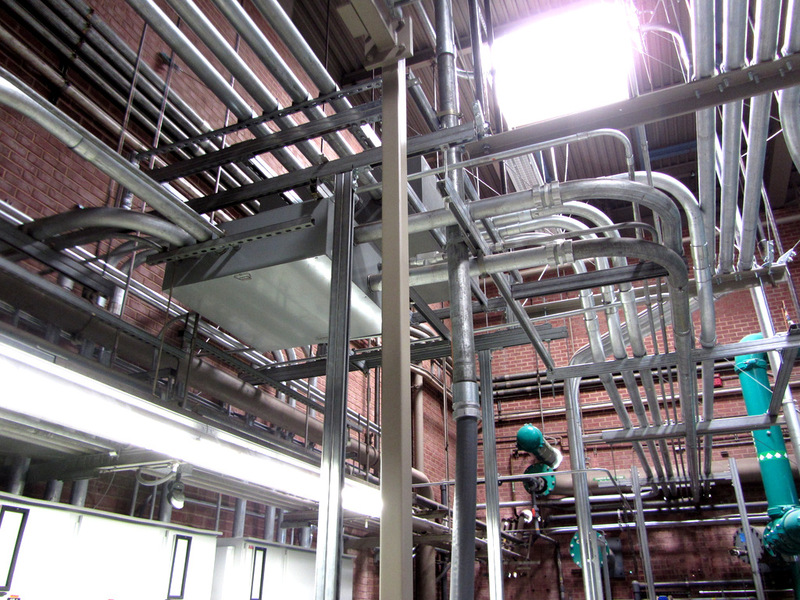 The central plant remained in operation throughout the entire upgrade of the electrical and controls systems. Work was completed in 2012.